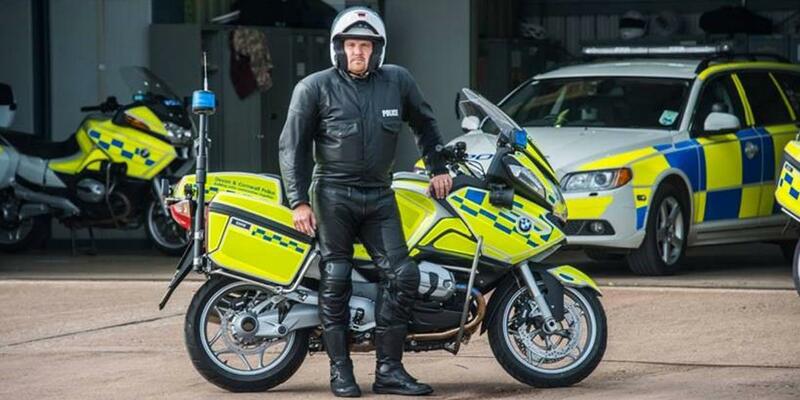 Gloucestershire Police have become the first force in the country to equip their motorcycle road traffic officers with BKS airbag suits. This relationship began back in the '90s with BKS winning the contract to supply the first PPE (Professional Protective Equipment) standard leather suits for motorcycle-mounted officers. However, since 2018 all riding kit has needed to conform to PPE anyway, and so the installation of airbag suits was the next logical step. Several police forces across the country have been trialling various airbag systems over recent months, but the use by Gloucestershire Constabulary is the first official adoption of the technology. Exmouth-based BKS is fully equipped to carry out all servicing and fitment of the Alpinestars kit following training at the firm’s headquarters in Italy. Airbags are quickly becoming standard kit on race tracks around the world, with mandatory adoption already in place in MotoGP and World Superbikes. We're expecting that as more series take on the tech, costs will decrease and more companies will start to produce it. For example, at present there are 12 leather manufacturers in MotoGP alone, but only three airbag systems. Most others licence the Alpinestars system. However, everything could change over the coming months due to Alpinestars losing an airbag appeal against Dianese at Germany’s Court of Appeal. MCN will keep you informed on the latest on that story as more details surface. Do you want James Toseland’s new BKS race suit?